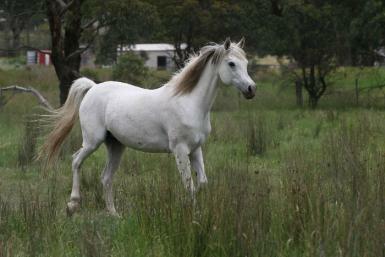 D'Amors Malika-Khan Malika is an impeccably bred mare and has produced us 4 stunning offspring. 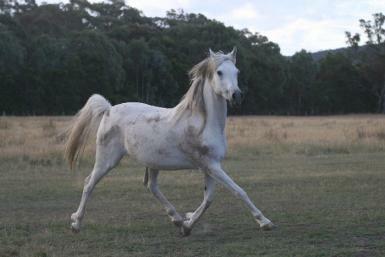 She is a beautiful mare full of scope and is a fabulous mover. As a broodmare she has always produced her strengths and thrown strongly to each stallion she has been bred with. Malika is well handled and great to do anything with. 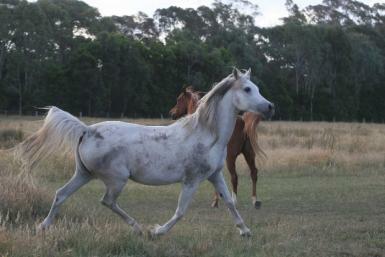 She was shown lightly as a young horse with success. 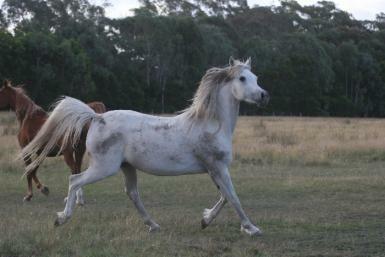 She is an easy mare to breeed, is a fabulous mother and would be an asset to any discerning breeder. She is only offered for sale as we have been blessed with a number of fillies over the last few years and now wish to breed with our home bred horses. Malika is in fabulous paddock condition and requires only a small amount of feed to maintain her condition even in these harsh times. Photos of progeny avaialable on request.